Very good, I've suggested previously that the 404 deserves a x30 minute frequency and a Sunday service and Tollers Lane Estate deserves a bus service. One thing I’ve noticed straight away is TfL have contradicted themselves between this consultation and the 384 one - in this one, the 400m figure has been used for Cane Hill in terms of how far off the bus network it is but yet in the 384 consultation, an entirely different figure (450m from memory?) was used. Quite surprised by this consultation as the service frequency and coverage aspects are relatively generous for the outer edge of London. Nice to see the 404 going daily and half hourly but assume no late evening service will be provided - no mention of it. Also no Sunday service on the revised 434. Have to say, having done the obligatory Streetview check, that I am astonished that the Tollers Lane estate has no bus link. I couldn't even see any local shops in the area so people really are cut off from public transport there - must be an awful place to live if you can't drive. Surprised that the 434 is going to x20 and that the new estate will get such a generous provision from day one of occupancy for some parts of it. I tend to agree with Vjaska's observation that there is no consistency here and how the 384 change has been treated. Also noteworthy that a Equality Impact Assessment has been published for this consultation - looks like TfL have been stung into action albeit very late in the day and only when this proposal is essentially a "good news" story as opposed to what the 384 change will do. The other interesting bit of hypocrisy here is breaking the Rickman Hill to Purley link whereas Cane Hill residents will gain one. Makes me wonder why TfL didn't leave the 434 alone and instead just change the 404 with a loop round Coulsdon town centre and then up to the new Cane Hill terminus. 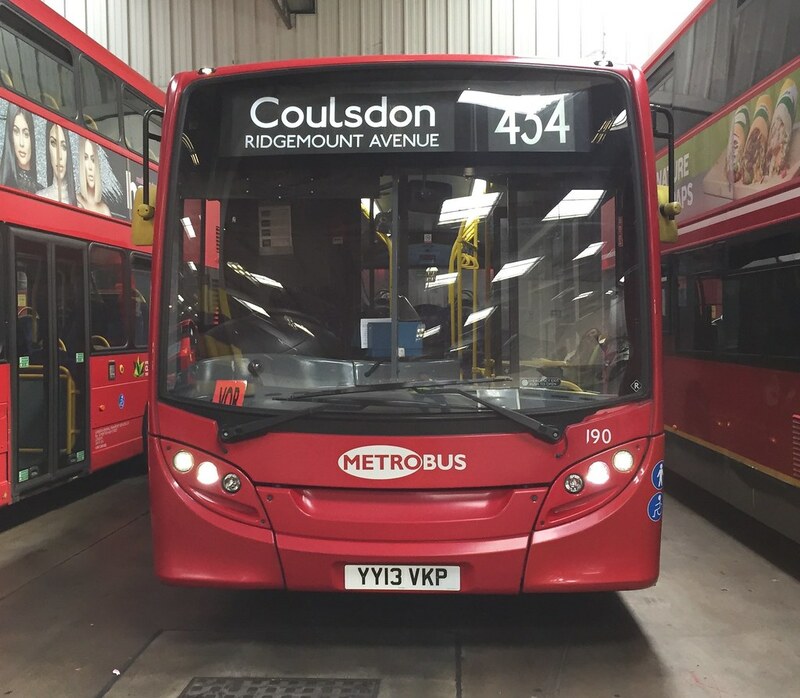 No broken links on the 434 and the 404 keeps its core function as a Coulsdon local service. There must be some logic in TfL's approach but it looks a bit odd to me as an observer from afar. If they didn't change termini Cane Hill would only get a x30 minute service and Rickmans Hill a x20 minute service which would be a bit excessive. I don't think many people will be too upset about the loss of the Rickmans Hill to Purley link. I would hope the 404 and 434 both get an evening service even if it is only hourly. Thanks for tagging me VJ. 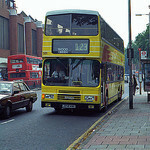 I've actually only ever got one 434 and I've never taken the 404 but I do know the actual routes relatively well. I'm sure that Zubin434 will be all for that boosted 434 frequency. Will be interesting to see where any necessary extra buses for the 434 (and the 404 with its doubled frequency) will be sourced from, presuming that this actually goes ahead. I had seen this change coming from when those presentation slides were released by TfL, and I see no reason why the 434 shouldn't be diverted away from Rickman Hill, considering there's relatively low passenger numbers and as 725DYE mentioned, you can walk up Rickman Hill from the 166, so the broken link between Rickman Hill and Purley will remain in that sense. Cane Hill Park is also a very lovely area from the photos I've seen of it, so I'm really excited by this change. Also very pleased to see a frequency increase FINALLY coming for the 434 , and the possibility of a PVR increase. I'm sure all four 434 buses will be out on the route more. It also means that longer vehicles may be able to work on the 434 with the removal of the tight turn to get into Ridgemount Avenue, so maybe one of the 455's SE/SOE's could be used in the event a sub needs to be deployed. I'm sure a route test will be carried out for a longer bus once the roundabout is complete, only issue being the parked cars near Kenley. In regards to extra buses, if they did require an extra one, I would assume one would transfer over from MB, presumably from the 138 allocation as I think MB have at least two spare 8.9m E200's per day and they have an additional one in SEN10 coming for the R5/R10. Also brilliant to see the 404 getting a Sunday service and a 30min frequency! If that would require a PVR increase though, which it looks like, perhaps they could purchase OS20255 outright and convert it to Euro VI, surely it'll be cheaper than buying a new vehicle altogether as I'm not sure RATP have any other compliant 8.9m buses available unless they use one from the K4's batch. Not sure that a MB bus would move over as they seem a little short in terms of short single deckers but I'd imagine one bus will move in for the 434 in any event. If the 404 get's an increase as a result, I can't see them buying back a Solo when they actively removing anything Merc/Optare based, probably a existing SDE will be used. Also brilliant to see the 404 getting a Sunday service and a 30min frequency! If that would require a PVR increase though, which it looks like, perhaps they could purchase OS20255 outright and convert it to Euro VI, surely it'll be cheaper than buying a new vehicle altogether as I'm not sure RATP have any other compliant 8.9m buses available unless they use one from the K4's batch. It's mainly in the direction towards Coulsdon where residents don't have a driveway. But there is a particular spot where I have in mind which is near a pathway or something, towards the end of Northwood Avenue where buses could stop? Surely the little darlings can cope with changing buses, or shock horror even walking? From what I've seen most buses up and down Rickman Hill are busy if they've got more than two passengers on board? I think these are really positive proposals, I really can't see anything wrong with them at all. The old cynic in me sees this as a morsel that Sadiq and TfL can offer with little extra cost in the grand scheme of things, to 'prove' that the commitment to increase services (yep, two of them!) in Outer London is still there. You don't get much more Outer than this, and extra Brownie points for choosing a borough (Croydon) which has defiantly bucked the trend in bus passenger numbers. Nevertheless, welcome news: grab it while you can!